These sections are so common in page design that as of HTML 5, (HTML is the computer code that tells your browser how to lay out the page), these divisions or sections are buillt into the code. The advantage of this is that not only does it give designers a consistent way of laying out pages; the names of the divisions tell Google what kind of content to expect. For example Google sees a division called Navigation or just Nav; it knows this area will contain all the important links in the website. If google sees Footer, it will expect the name and address of the company and some links etc. Its basically a way of standardising we pages and communicating to Google extra information and its priority on the page. Now the techie bit is out of the way, lets see how we can use this system of design to maximum effect. Below you can see how moving the Navigation and adding a slider, together with making the backgound white improves the look and functionality of the website. 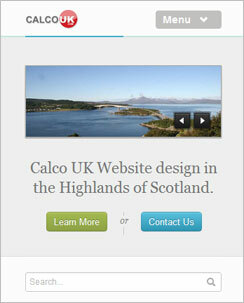 Note also the inclusion of the two icons in the Footer. This is where we would expect to see Social Media links / icons. SLIDER : A series of images or section of content that changes through time by SLIDING or FADING from the current panel into the next and so on until all the panels in the sequence have been displayed. The slider usually loops, but can also be manually changed, typically by clicking a right / left naviagtion or one of a series of dots or icons. 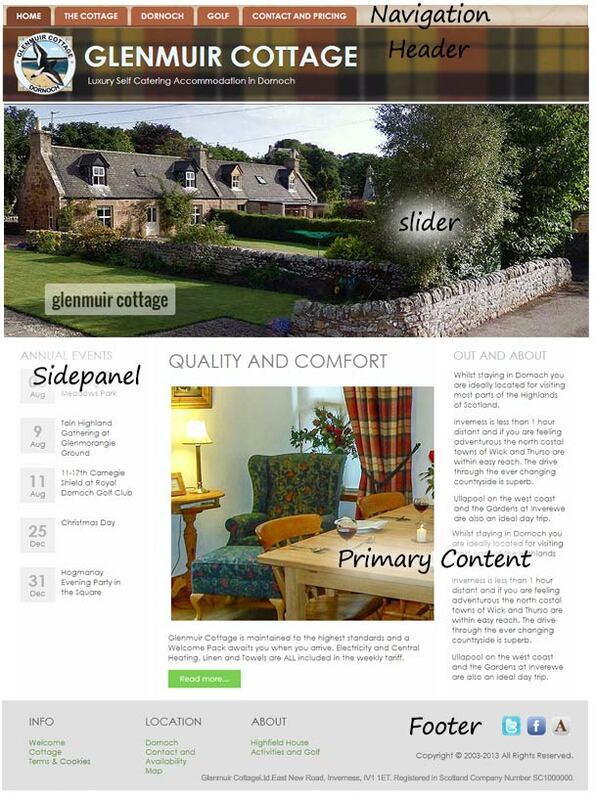 Apart from being visually apprealing, a slider is a great way of maximising the use of screen area on a busy web page. 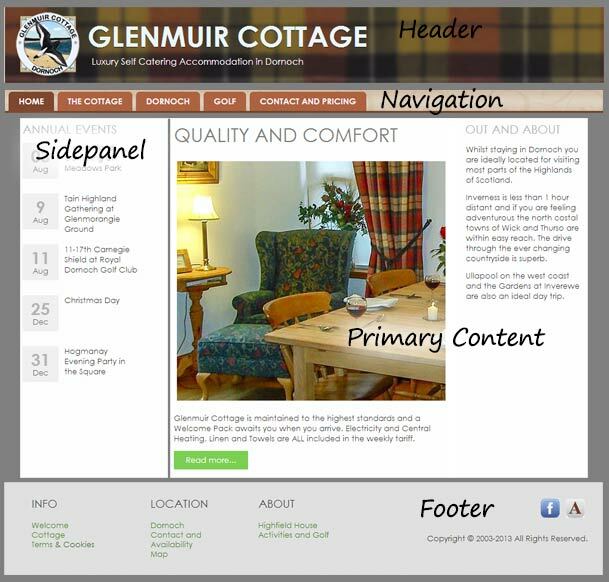 Each panel in the slider will typically link to another page on the website. 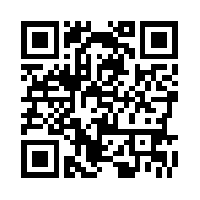 Use your phone camera (or tablet) to scan the QR Code below and view our responsive design demo. 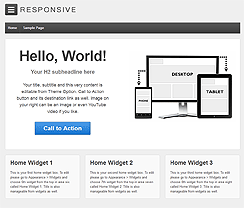 Tap / click the image below to try out our responsive design. You should re-size your browser to various sizes and see how the website reposnds if you are using a normal desktop or laptop computer!